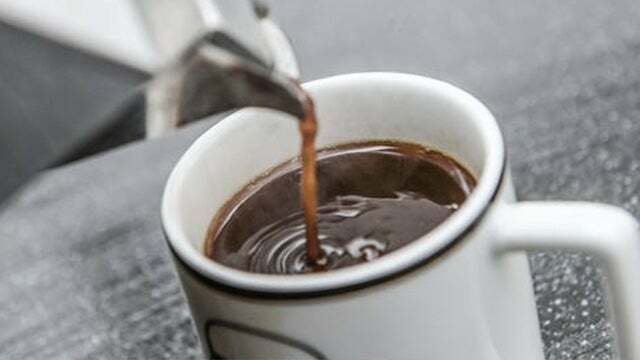 RUSH: You know, speaking of hellish news, did you see where a Los Angeles judge has ruled that California law requires coffee companies to carry a cancer warning label because of a chemical that’s produced in the roasting process? Not kidding here. Is there anything that judges are not experts on? This is a superior court judge. So the premise is that coffee can kill and if somebody cannot prove that it doesn’t, then the ruling is that coffee kills and needs a cancer warning label on it. So now a judge is requiring a company to prove a negative? That’s not what our law is all about. But it’s California. As I always say about California, when they think they’ve fixed something or solved something, they haven’t. They only have opened a brand-new can of worms that once again corrupts and pollutes our great society and culture.